Make Every Move an Easy Move! 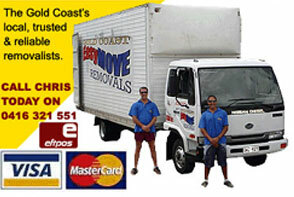 Easymove Removals is a renowned and trusted Gold Coast removal company. Having been established on the Gold Coast for over 20 years, Easymove Removals is known for its expertise, professionalism and respected reputation. 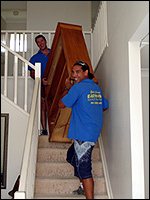 If you are after efficient, quick and cheerful Gold Coast Removalists, then Easymove is the best choice. We do not believe in hidden costs, taking our time or letting you down. Your business is our business and we strive for complete customer satisfaction. Our fully equipped furniture removal vehicles ensure that your relocation goes to plan every time and our professional staff can give you advice on every aspect of your move. From a one bedroom unit to large commercial moves, we have it covered. Servicing the entire Gold Coast region and providing removalist services for moves to and from the Gold Coast to Brisbane, the Sunshine Coast and Northern NSW, you can entrust your precious goods into our experienced hands and make moving a quick and easy experience. Our fully equipped furniture removal vehicles ensure that your relocation goes to plan every time and our professional staff can give you advice on every aspect of your move. Anytime, Anywhere with Care is our motto and our furniture removalists go the extra mile to guarantee that one of the most stressful days in your life become an absolute breeze. Click here to get an upfront, no fuss quote for your next move. Start Your Easy Move Here!